“I have always imagined that Paradise will be a kind of library.” - Jorge Luis Borges. Tulum’s underwater world is a library in itself. Whether you’re in a cenote looking at rock formations, fish and turtles swimming through dark caves… or you’re in the sea, exploring a sandy reef or the rocky areas where the underwater rivers feed... you’ll find paradise. If you can breathe you can snorkle. All you have to do is move slowly and keep your eyes wide open to enjoy it all. We’ll give you safety tips and most importantly, we’ll show you how to protect the world you’re visiting to keep it safe. Take a tour or rent gear! 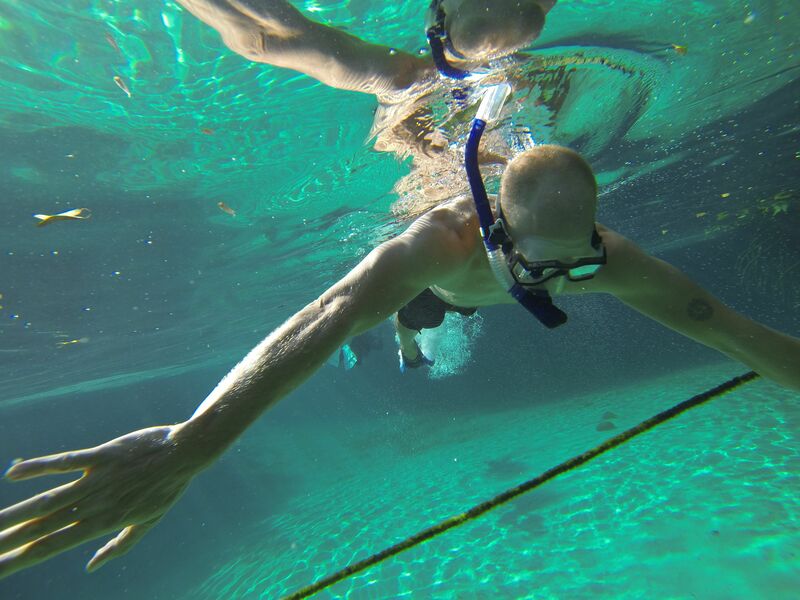 Snorkeling is most fun when you know where to go and where to look, so we highly recommend our tours: We can take you to Dos Ojos, a stunning cenote where you’ll see tree roots, rock formations, underwater caves, fish and freshwater turtles! Or we can also go to Akumal, which is literally a piece of heaven! In this calm bay you’ll swim with dozens of sea turtles and may even encounter a manta cruising by. Come say hi! Rent equipment or hear all about the best spots to visit… There are some hidden jewels in the jungle only locals know about, so come be a local with us. And if you’re ready to take it further, take a free-diving lesson with us!